Specialists in the design, manufacture, testing and supply of power supplies and other electronic equipment. Out on the road? Camping? And need power for your electrical devices? A 12V or 24V DC to AC Inverter will convert battery DC power into conventional AC power to run your electrical devices such as your laptop or mobile phone. 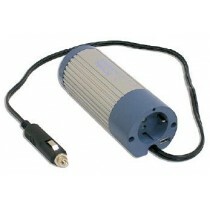 Simply connect an inverter to a battery or to the cigarette lighter in your car – and away you go. 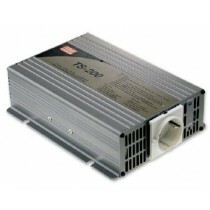 At Statronics, choose from a wide selection of DC to AC (Inverters) including leading Meanwell power supply products. For other, non-mobile, in-house applications, contact Statronics and speak to one of our representatives. DC to AC power inverters are typically very easy to install as most of them are simply “plug and play”, particularly low-wattage products. However, if you require an inverter for higher wattages, you will need to directly connect it to the battery. If you require further assistance on choosing the right DC to AC power inverter for your power supply, speak to one of our highly qualified team members by contacting Statronics on 1300 307 608 or sales@statronics.com.au. Your Business Is Complex. Your Power Supply Doesn’t Have To Be. Sign up to our eNewsletter.